AirPlus Heating & Cooling launches new partnership with George Mason Athletics & EagleBank Arena in Fairfax. Fairfax, Virginia (September 1, 2016) – AirPlus Heating and Cooling (airplusair.com) based in Lorton, VA, has signed on as a new corporate partner of George Mason University Athletics and EagleBank Arena. In the company’s first collegiate athletic sponsorship venture, AirPlus will receive permanent and digital signage in EagleBank Arena, during all arena events including the Mason men’s and women’s basketball games this season, as well as men’s and women’s soccer this fall. In-game promotions, radio and TV spots, social media campaigns and on-site activities for branding will also take place at athletic events throughout the 2016-17 athletic season. AirPlus Heating & Cooling will work with the George Mason athletic department to grow awareness of AirPlus with the university’s alumni and EagleBank Arena event attendees. In support of the men’s basketball season’s opening night, AirPlus and Mason Athletics will launch a contest together on October 15, giving college basketball fans in northern Virginia the opportunity to participate in a targeted social media driven sweepstakes. The sweepstakes winner will receive two “In the Huddle” seats behind the Mason bench to the season-opening men’s basketball game on Saturday, November 12 along with dinner for two before the game. The package also includes a free AirPlus Service Club membership ($225 value), gift cards for AirPlus services ($100), and a Mason gear prize pack. “George Mason Athletics is excited about this partnership and to have the support of a great local brand in AirPlus Heating & Cooling,” said George Mason University Assistant Vice President and Director of Athletics, Brad Edwards. 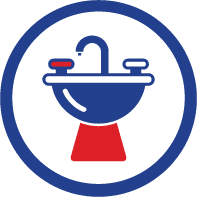 AirPlus Heating & Cooling specializes in residential & commercial HVAC, plumbing & home remodeling services to thousands of customers throughout Northern Virginia. AirPlus is a Diamond Contractor for Mitsubishi Electric and specializes in ductless HVAC products and installs and services many other brands of traditional HVAC systems. AirPlus is a corporate sponsor of George Mason Athletics & Patriots Basketball.